When you want to control your home's temperature or improve its energy efficiency, an optimally running furnace is essential. 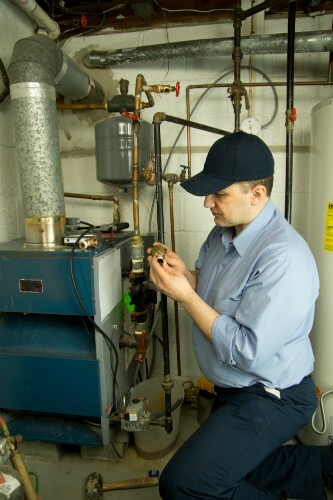 And this means investing in periodic maintenance and service from an experienced and professional furnace technician. If you've never hired a furnace professional, finding on the right one can be difficult, so we've assembled the following questions to help with your search! 1) Do I know anyone who has had their furnace serviced? Sometimes the smallest recommendation can go a long way. If a trusted friend or family member has had their furnace serviced, ask them who performed the repair and if the system worked well afterward. A satisfactory answer to this question may conclude the search immediately. 2) What experience does the company have? When contacting service providers, it helps to learn more about their experience. It's crucial you make sure you're working with a veteran firm that has worked with your system. 3) Are the technicians licensed? Asking about licensure is an easy way to ensure you'll be dealing with skilled technicians who can deliver the best possible work. If the technicians aren't licensed, it's time to move on. 4) What additional services does the company offer? It's important to hire a well-rounded company, so you should ask the prospective vendor if the company offers repair services, testing options, and measures that will help prevent future breakdowns. 5) What preventive maintenance measures can be tackled without a professional? The furnace repair company should be willing to lend its expertise and guide you in maintenance steps you can do on your own to support the maintenance of their furnace. These tips, practiced regularly, will ultimately keep the unit in better condition, and that should be the goal of both parties. 6) Are emergency services offered? If the worst occurs and the furnace must be immediately repaired or replaced, it's important to know the company can rise to the challenge. This is especially true if the system failed because of extreme cold, as families don't want to be subjected to the elements any longer than necessary. 7) Does the company do background checks on its technicians? Don't make the mistake of assuming a furnace technician is trustworthy simply because the company hired them. Because not every company conducts background checks, it's important you ask if a background check has been done since you're allowing this technician into your home and around your family. The importance of these inherent safety concerns cannot be understated. Selecting the right furnace service company is almost as important as the unit itself, so, incorporate these questions to handle this essential task successfully. To learn more about furnace repair options in your area, call 1-800-574-1725 to speak with one of the trusted professionals at One Hour Heating and Air Conditioning.